The Kromfohrlander (Proununced Krome-fore-lahn-dair) is a very rare breed, especially in the United States. In Europe, where they were first developed they are equally rare. The Kromfohrlander or “Kromis” as they are often nicknamed, is a loyal, people oriented breed who craves the attention of their special people. They are adaptable, docile but high-spirited. Friendly with people they know, they can be reserved with strangers. They prefer to be close to those they love and will follow you from room to room when you are at home. They also tend to be a “one person dog.” They are not considered to be a yappy type of breed. They do bark so they would be seen as a good choice as a watchdog. They still maintain the terrier instincts to dig, but they are not as bad as some terrier breeds. If you are interested, you can read or download the breed standard from FCI. Other Names Used It is pronounced "krome-fore-than-day." Nicknames are Kromi, Lander and Landeri. Affiliation: FCI: Group 9, UKC: Companion; Assigned to AKC’s FSS Non-sporting group. Colors The color of the Kromi is white with tan to dark brown markings on the body and symmetrical markings on the head. The breed's physical characteristics require as centered a blaze as possible between the eyes. Some breeds trace their roots to 19th century Europe and others have examples of dogs resembling modern day as far back as a millennium or more. Some breed histories include fable or legend with a fairy tale ending. Not so with this breed. This breed can trace their roots to the mid 20th century when two scruffy street dogs mated and had a litter. Not exactly a romantic history of a rare breed, but the story does get better. This dog breed developed in German in the 1940s and 50s soon after World War II ended. The breed descended from one parent dog, Peter, often called Original Peter, a scruffy dog found by US soldiers in northern France. 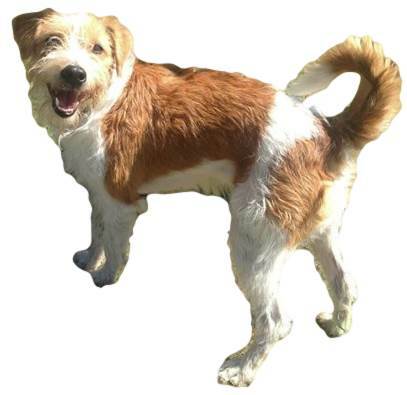 He resembled a mix between the Grande Griffon Vendeen and the Fox Terrier. The soldiers adopted the mutt and made him their mascot. This was not exactly an unusual situation because soldiers collected stray dogs and cats, even chickens, goats, donkeys and monkeys and used them to help releave the stress of fighting. Peter likely left his new soldier friends in German after the war. He was later found by some Germans, set on killing him. As luck would have it, he was rescued by Ilsa Shleifenbaum. World War II had a devastating effect in Europe on the known dog breeds. Most were released, shot, or eaten by desperate people, creating a near extinction. After the war, hard working breeders made an attempt to locate the remaining breed representative and begin to reconstruct the dog breeds. This was the case with Peter and his breeder Ilsa Shleifenbaum. She mated him, Peter, who was likely a Grand Basset Griffon Vendéen, a French pointing dog with a black and white fox terrier who ended up having two puppies almost identical to Peter. These breeds that were first used can be proven beyond a doubt. Her goal was to develop a breed of dogs that were solely companions who could enjoy good health, and a great temperament. She named her new breed from a descriptive phrase of the local landscape, “krom foh” meaning crooked furrow. She just thought it was a “catchy name.” With the help of another breeder, ten years later, they were breeding similar traits in all their litters. This is a very short time to develop an entirely new breed. Her breed was recognized by the Fédération Cynologique Internationale (FCI) in 1955. 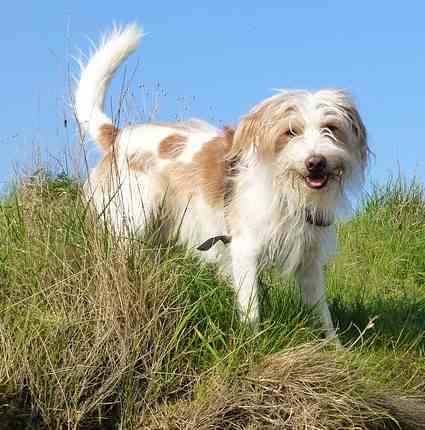 In 1996, the breed was added to the United Kennel Club and placed in the Terrier Group. From there it was moved to the Companion Group in 2013, a classification that was more appropriate for the breed. The American Kennel Club (AKC) added the breed to their Foundation Stock Services (FSS) in 2012 and placed it in the Non-Sporting Group. Is that a Smile, I Detect on him? The Kromi is very intelligent breed and easy to train. They have long attention spans and the ability to focus making them highly trainable. They respond well to positive reinforcement. Play is important to this breed and if you don't play with them, they will find ways to amuse themselves. Agility also comes naturally to them making them ideal for agility competitions. The Kromi's purpose is to be a companion only and despite their terrier heritage, they have a little hunting instinct and no aggression and hey do tend to be somewhat submissive. They do well in apartments as long as they are given the opportunity to go on two good walks per day. 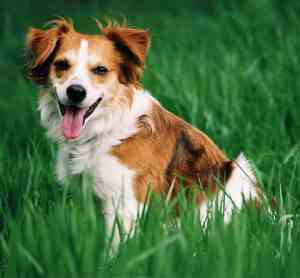 They also thrive in homes where there is a large fenced in yard for them to run and play. They love the outdoors, but would not do well if left out on their own. They crave the attention and closeness of being by their owner’s side. The Kromfohrlander has one of two different types of coat: wirehaired or smooth. The wirehaired variety also has a beard, but the smooth variety does not. The Kromfohrlander is a moderate shedder that sheds a couple of times a year. Daily brushing will remove dead hairs and a quick seasonal clipping is recommended. Even though they have white hair, they are not known for being a dirty dog and the occasional bath with be all that is required. They don’t have the typical doggie smell that many terriers carry with them. Other grooming routines that all dogs need include nail clipping and teeth brushing. Ears should be checked periodically and cleaned as needed.